Two icons of the Quad-Cities indie scene celebrate birthdays today, on April Fools Day. 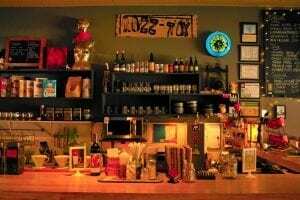 Moline’s CoOp Records and Rock Island’s Rozz Tox are both blowing out the candles (Rozz Tox’ are probably on cupcakes), and although they’re both suffused with a spirit of fun, their success is serious testament to hard work and an example of how to do local business right. 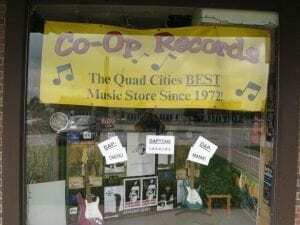 It was 24 years ago that music scene fixture and die-hard Replacements fan Reid Robinson decided to take the leap and open up CoOp at 3727 Avenue of the Cities, Moline. Little did he know he was getting in when the getting was about to get anything but good. The mid-‘90s were the last heyday for music stores. There were several already at the mall, a handful of indies and on top of that you had big boxes like Best Buy, Walmart and Target getting into the biz, much to the chagrin of those shops that specialized in music and related entertainment. But the 900-pound gorilla of online music, perhaps first writ large by Napster, but only to state the obvious trend, was right around the corner. Within a decade, the vast majority of music stores in the Quad-Cities and elsewhere would be dead. Things haven’t gotten better in terms of music shops. Malls are now mausoleums and their once-smiling Sam Goodys and Musiclands are resting in pieces, their inventory shipped off to warehouses and other retailers. Most shops that reigned in the time of Hootie and the Blowfish have aged about as well as, well, Hootie and the Blowfish. But CoOp has remained, in large part because it was always more than a music shop. It was a vibe, an experience, a destination location. It had the mainstream stuff, sure, but it had what the real music fans wanted, that rare object of affection that you couldn’t get anywhere else. It had character and personality. It hosted live performances and local record release parties and sold various and sundry accompanying paraphernalia. It was, and is, unique. 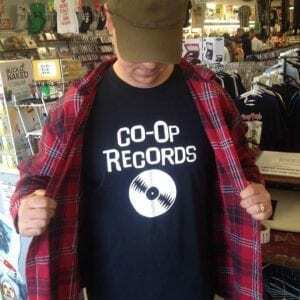 You go into CoOp and it’s “High Fidelity.” It’s what you see in a movie where the script calls for a music shop of distinct persona and an intimate understanding of the fetishism of music fandom. There’s no place like it in the Quad-Cities. The same could be said for today’s other birthday biz, Rozz Tox, which began eight years ago with Benjamin Fawks opening up a little coffee shop/café/performance space/hangout in a long dead-end section of a town that was headed in the wrong direction. By 2010, downtown Rock Island had past its last peak as the It spot of the Q-Cs. The ‘90s and early-mid ‘00s were the heyday for The District, but once the shiny new things of downtown Davenport and the Village began to sparkle, people began giving the cold shoulder to downtown Rock Island, and once Moline started to show some signs of life in its downtown, Rock Island really began to wane, quickly. And that was right when Fawks decided to open Rozz Tox at 2108 3rd Ave., Rock Island. Good recipe for failure, right? Business opened in a declining part of town, a downtown on the way down, and in a spot way off the strip. And yet . . . it thrived, and still does. Same reason for CoOp – Rozz Tox provides something that’s unique, that’s distinct to the Quad-Cities and certainly Rock Island. It’s got a personality, it’s got a character, it’s unlike anything else. Like CoOp, I’ve very much enjoyed my times at Rozz Tox. My son, Jackson, has had his artworks displayed there in a kids’ art show. 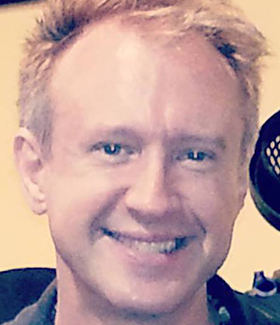 I’ve been interviewed there by Andrew King for his live, on-stage talk show, and I’ve returned the favor by interviewing Andrew for my own gigs. I’ve read fiction and poetry there at open mic nights. I’ve gone to raves there. I’ve seen movies there. I’ve watched awesome live music there. And I’ve had some great food and drinks there and just hung out, getting work done and visiting with friends. If you look at that list, you’ll notice it features a pretty eclectic group of activities. That says a lot about Rozz Tox. It’s open and varied and eclectic enough to include an incredibly diverse array of entertainment, but it retains a certain vibe, a certain character, a certain personality. It’s interesting to look at these two businesses, and it highlights something very important about the business landscape nowadays. And that thing, that irreplaceable thing, is a feeling, a vibe, an experience. You go into CoOp, you get a distinct vibe, a unique experience. 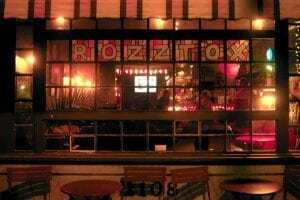 You go into Rozz Tox, you get a distinct vibe, a unique experience. That’s been the secret to their success. When you make yourself just like everyone else, there’s no reason for anyone to choose you rather than anyone else. But when you stick to your own path, when you stay weird and stay unique, then you offer a destination that can’t be found anywhere else. So happy birthday to CoOp and Rozz Tox — two of the places that make the Quad-Cities unique, because they’ve had the courage to always be themselves.